At an altitude of 1,500 meters, Baguio has recently been given the title of “City in the Clouds,” as well as “Skyscraper City,” despite the fact that there a no buildings higher then 15 stories in the area. These nicknames have replaced “City of Flowers” and “Honeymoon Center of the Philippines.” “City of Pines” is still often used by the tourist trade as an AKA of this mountain resort, the most popular tourist destination north of Manila. During the Spanish Era, although Benguet (and Baguio) was not a remote area for the Spaniards to explore, development was rather slow. The lure of gold, nevertheless, prompted the Spaniards to conduct numerous expeditions. Early explorers included Juan Salcedo in 1572 and Don Q.M. Quirante in 1664. But the many attempts made to subjugate the "Igorots" all failed until Commandante de Galvey finally succeeded in 1664 to establish a garrison at La Trinidad, Benguet. La Trinidad, became a foothold to the Cordillera Mountains. Through the years the Spanish tried to institute order, build churches and schools, make trails and introduce the planting of vegetables and coffee. Sometime in the first half of the 19th century, Spanish colonizers started to explore the mountains to the north. They discovered a land of fertile valleys, pine-clad hills and mountains, lush vegetation and an abundance of minerals such as copper, gold and other ore. Adventurous fortune hunters dared to exploit its natural resources, some just wanted to explore and conquer the region, while others still aimed to convert the natives to Christianity. But the natives could not and would not be subjugated. The Spanish colonial government in due course acknowledged that the proud mountain people were difficult to rule and subdue. So eventually, in an attempt at autonomy, they decided to divide the land into local government units called "commandancias." Again the natives objected and refused to be a part of the changes, and moved deeper into the mountains. Realizing the futility of the endeavour, the Spaniards divided the land instead into "rancherias" under the responsibility of the landed aristocracy of the place. the city of Baguio does today. The first American explorers were smitten with the weather and landscape and decided that it would be an ideal site for a future city and summer retreat from the sweltering heat of the lowlands. It did not take long for Gov. William Howard Taft (who later became President of the United States) and other officials to agree that this should be the location for the summer capital and health resort of the Philippines. By November 1900, the Americans established the first civil government in Benguet through Republic Act 48. Nineteen townships were established with Kafagway designated as the capital. It was later renamed, Baguio, a name apparently derived from the native Ibaloi word "bagyiw," which is a moss-like green plant that grew around the area where Burnham Park is now located. On June 1, 1903, the Philippine Commission decreed Baguio as the “Summer Capital of the Philippines.” The Americans were determined to make Baguio a showcase—the first American city in Asia that would be at par with or better than other hill stations established by the British like Simla in India, Bogor in Indonesia or the Cameroon Highlands in Malaysia. A local government was established with H. Whitmarsh as the appointed Governor of Benguet and Baguio as the capital. This was the first provincial government to be established in the Philippines and this happened a year prior to the inauguration of the civil government of the Philippines. Their best administrators and teachers were fervent boosters and promoters: Worcester, Wright, Forbes, Pack, Barrows, Eckman and others who together with prominent Filipinos committed to make the area a place of refuge. Many Filipino skeptics at that time envied the Americans’ singular attention on Baguio and charged that America was just interested in the gold and copper found in its hills. 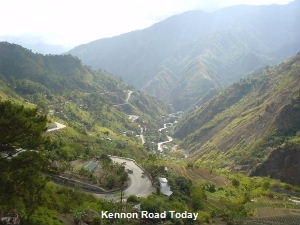 To be sure, several mines near Baguio within Benguet were later developed which were very productive. Business in the city also flourished in the years to come with the establishment of commercial centers and recreational facilities. The city grew with leaps and bounds until the outbreak of World War II. Ernesto R. Zárate, FPIA, a Fellow of the Philippine Institute of Architects, is also an actor in Philippine movies and television and a published author. He was born and raised in Baguio City. His father, Juan F. Zárate, a Baguio old-timer, was the supervising teacher for the entire Mountain Province (Apayao, Kalinga, Bontoc, Ifugao and Benguet) during the American Occupation. His grandfather was the first treasurer of the Baguio local government which was then just a township.